FURNISHED/UNFURNISHED. 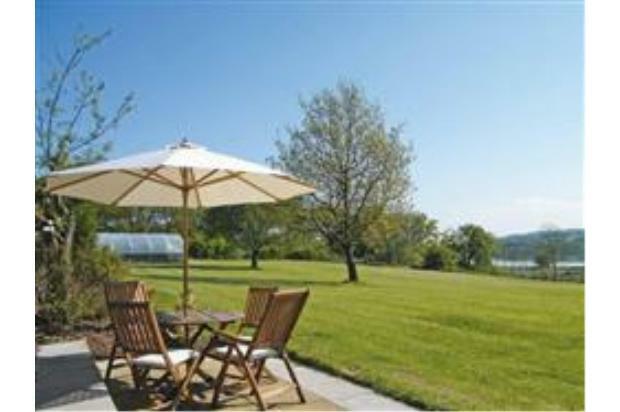 Stunning 4 bedroom detached house set in 1 acre of garden over looking loch. Just over 10 mins drive to Glasgow Airport. 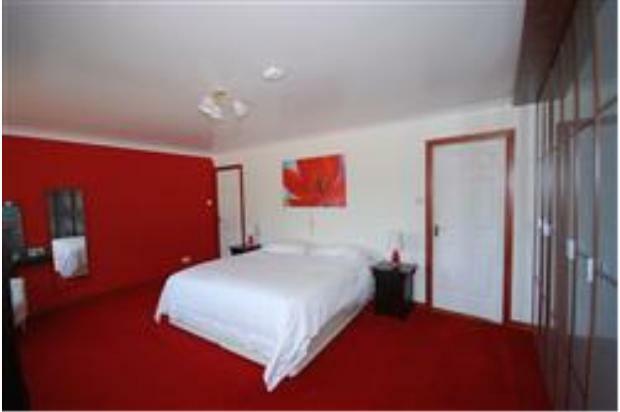 Architect designed, large picture windows, master ensuite, in regional park. 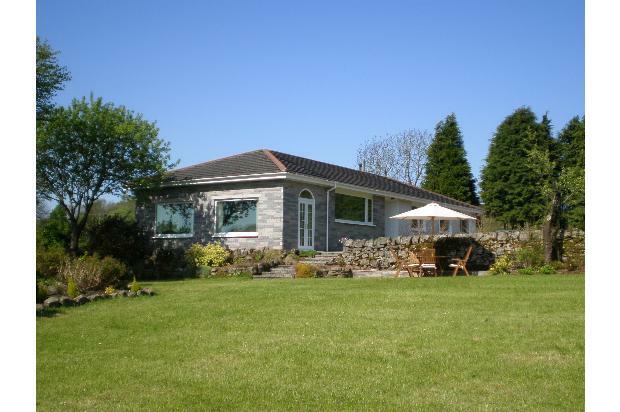 Stunning detached bungalow set within circa 1.2 acres of land, with breathtaking views across the local countryside, the loch and beyond. This delightful architect designed property is located within Clyde Muirshel Regional Park and enjoys abundant bird and wildlife. It is ideal for those seeking a country retreat, whilst with its location so close to local amenities it is also a perfect haven as a family home. 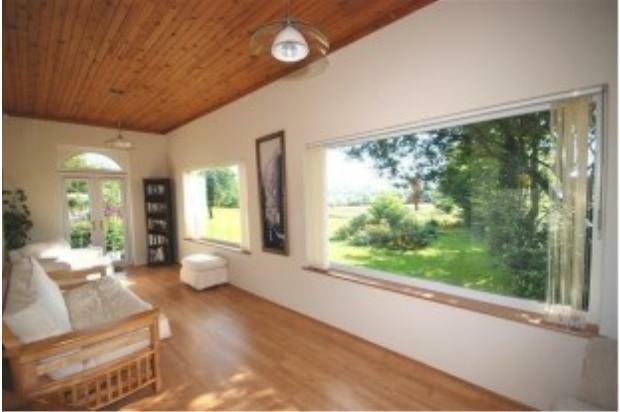 With easy access to Glasgow, Glasgow Airport and Ayrshire and the amenities of Lochwinnoch just a mile away, yet surrounded by fields and the benefits of country living, this property enjoys the best of both worlds. 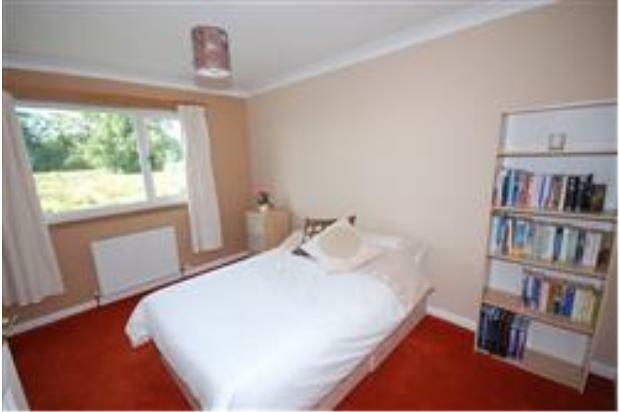 This delightful property is very light and spacious with contemporary decor throughout. Unique and well thought out,it has large picture windows with views from every room. 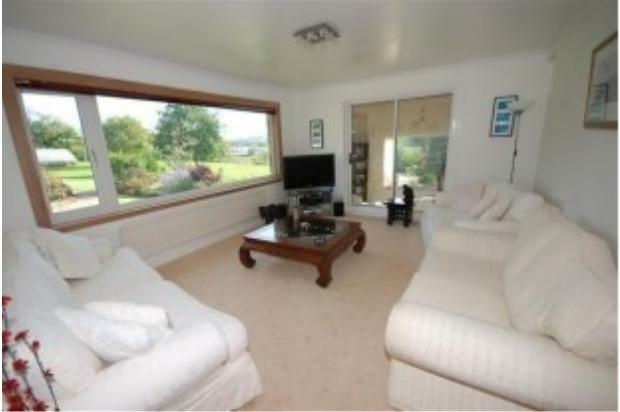 Internally, the property comprises reception vestibule, hallway with storage, stunning lounge with picture window taking full advantage of the magnificent outlook towards the loch and beyond. The tranquil sun lounge measures 25ft and has windows to three sides, again maximizing the glorious outlook that this fantastic property has to offer. 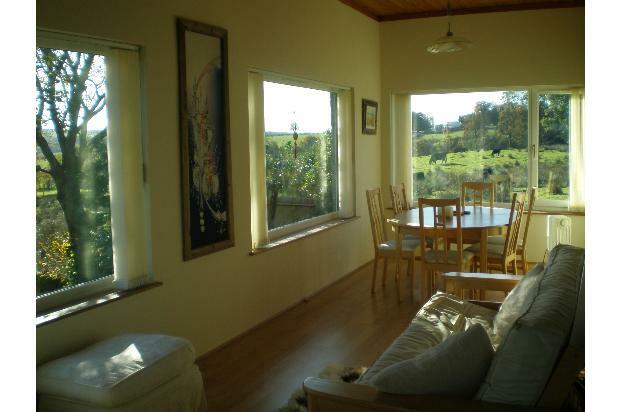 This room also provides a very spacious alternative dining area, perfect for enjoying the view or for larger gatherings. 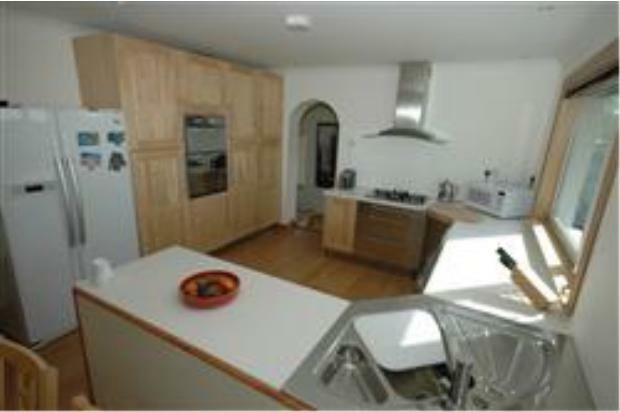 The modern fitted dining kitchen has an excellent selection of units, double oven, gas hob and extractor. The contemporary kitchen incorporates a Blanco corner sink unit with filter tap and a generous dining area. 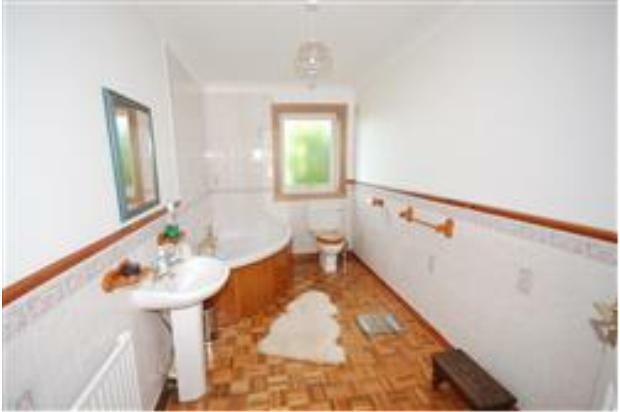 The property also has a lovely shower room with walk in shower; four double bedrooms, the impressive master having an extremely generous en-suite bathroom. The property further benefits from a double entry monobloc driveway with parking for several vehicles, and an extensive floored loft area. 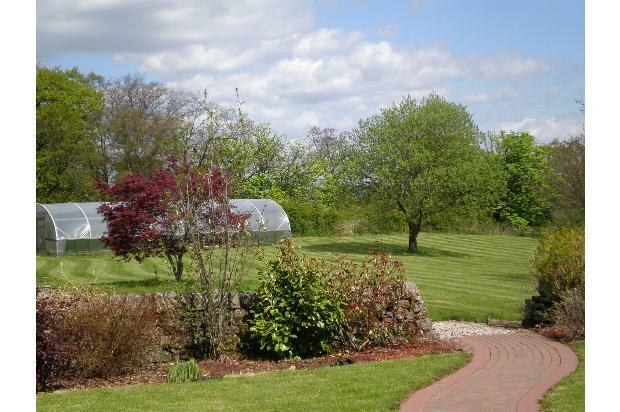 This exquisite property lies in approximately 1.2 acres of fenced, well maintained mature gardens, within this area there is a large poly tunnel, vegetable patch, a lovely patio, drying area and shed. 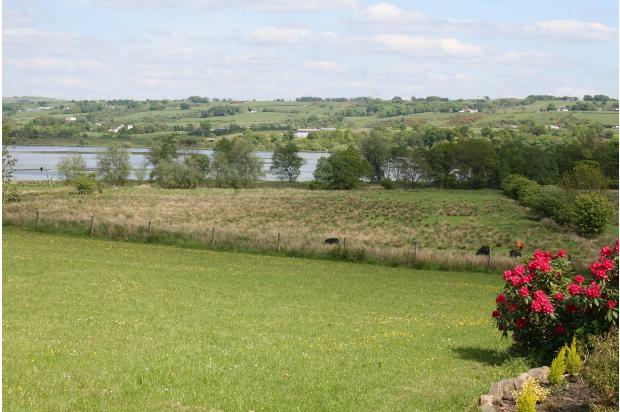 The village of Lochwinnoch is renowned for its water sports and fishing on Castle Semple Loch, and in addition has a variety of recreational pursuits, including an 18-hole golf course and RSPB Reserve. 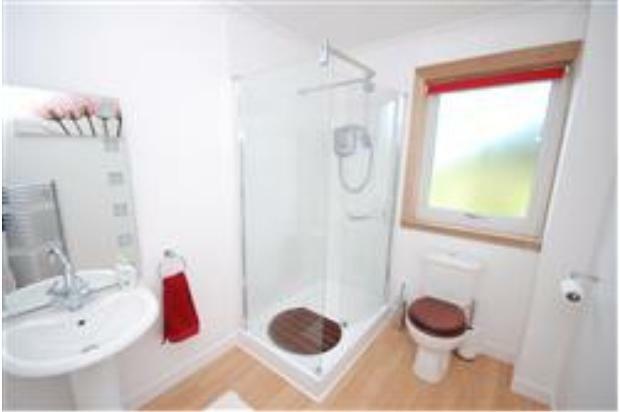 There is an excellent local primary school and a wide range of shops and amenities within walking distance. There is a railway station with rail links to Glasgow Central and the Clyde Coast with Glasgow Airport just over 10 minutes drive away (it is not on the flight path). Council Tax approx £165 x 10 months. Pets permitted. Fencing around entire acre of garden. Short or long term (minimum 6 month let).